About Us - AngioGenesis Labs, LLC. Patrick J. Scallan is President and CEO of AngioGenesis Labs, LLC. With more than 13 years of experience in the medical industry, Patrick founded AngioGenesis Labs, LLC to produce liquid dietary supplements that address common health issues affecting individuals on a daily basis. After meeting and servicing over 12000 patients since 1999; it was clear that far too many patients suffered from heart disease, high blood pressure, and circulatory problems. The medications they were on worked, but they had many systemic issues that caused other health problems. This was one of the reasons we decided to formulate these products! AngioGenesis Labs’ supplements are cutting edge, and are powerful and effective for Heart Health and Brain Health. The company is dedicated to wiping out common health ailments that are plaguing Americans today. Your total-being is based on how well your heart can keep pumping, and how active you can keep your brain. AngioGenesis Labs have developed high quality products that allow the function of these most important activities to take place in the natural environment of the body without the side effects caused by modern drugs. 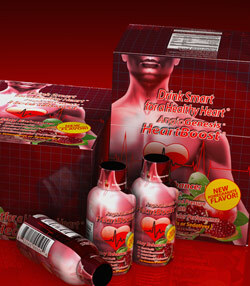 Our HeartBoost® drink may enhance Normal Blood Pressure, Arterial Health, Heart Health and Vitality and Stamina. 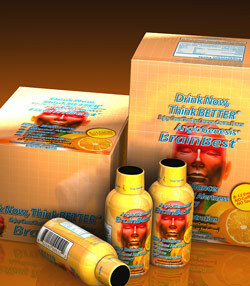 Our BrainBest® drink may enhance, Mental Alertness, Memory, Focus, and Concentration. The key active ingredient in BrainBest® is prescribed for patients in Europe who have symptoms of Alzheimer’s and Dementia. Our products are made specifically to deal with common health issues. We have developed proprietary formulas designed to assist the body with natural combative functions. We use natural ingredients that create a potent blend which works right away. Product ingredients are backed by global research. Our liquid supplements are formulated to be absorbed by the human body up to 6 times more effectively than pills. Our products are recommended by leading doctors. TO HELP PROMOTE MENTAL AND PHYSICAL HEALTH.